I personally think the 991.2 will be produced through 2019, with the 992 being introduced as a 2019.5 my (similar to 997 to 991 model change over) or as a 2020 my (most likely). I highly doubt 991.2 production will stop with the 2018 models but I could be wrong. 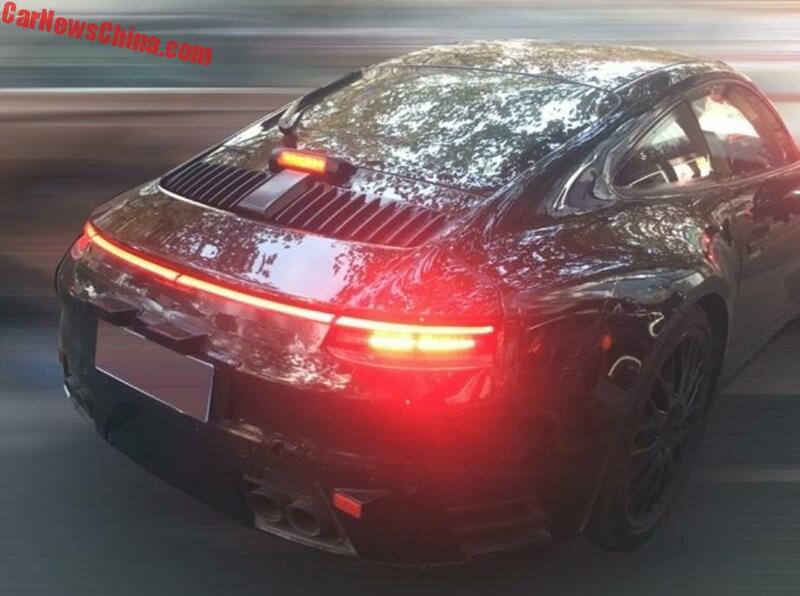 We still have other 991.2 models we are waiting on (GT3RS) that would be released as 2019 my at this point. Last edited by phow; 01-03-2018 at 08:59 AM. Relax Chuck911. There is no air intake at the end of the tunnel! I do agree with you about the overall design of the 991. Like the early air cooled shell, it is the "pure thing" that is being adjusted. On the other hand the 992 flares (front and rear) are just the sort of adjusment I liked then too. And then there is the change in the shape of the frunk opening.There are detailes here for a porsche archeologist. The car's gonna look good. Not necessarily better than the 991, but maybe (let's be honest, it's gonna look nearly identical to the non-911 purist, as it should). I'm iffy on the smaller greenhouse. The 991 really seems to perfect the proportions of glass to metal, but we'll see how perfectly said proportion fares it fares once our eyes acclimate to the 992. I'm also iffy on the wider haunches. I like wide haunches as much as the next 911 obsessor, but at some point the car starts to lose its narrow nimbleness which makes it an ease and joy to park and maneuver compared to massive sedans, SUV's and such. Also, making them more of stone chip magnets can really catapult our OCD meters. My prediction for my own opinion of the car will be that I'll like the exterior, dislike the interior (so far it looks like an absolute "me too" tech barf disaster), and dislike the basic (non GT) powerplants. If that scenario does come to fruition, it'll have to look REALLY, REALLY good compared to the 991 to entice me enough to buy it. 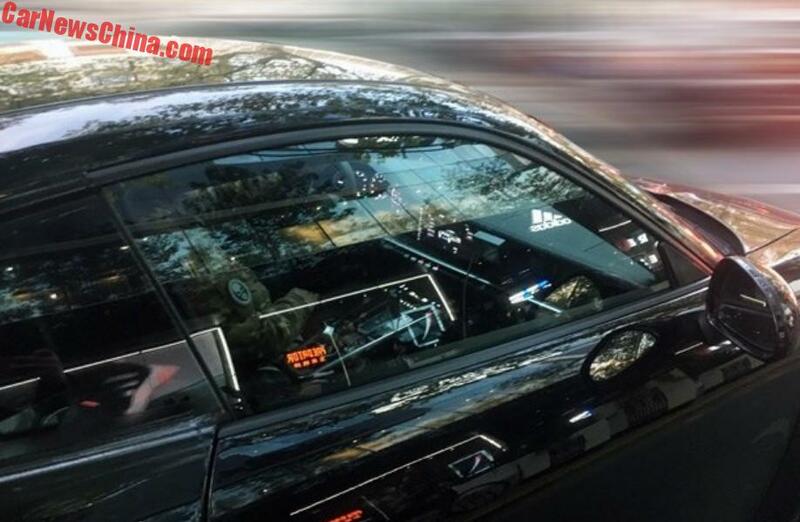 Anyone care to guess what the rectangular box is below the tacked on third brake light? Looks like a pretty "finished" piece to me and more that just a styling queue. Looks like it might serve some sort of purpose. Since you asked....I will take a shot at it. Most test mules in the past have the antennas mounted on the side of the rear bumper to communicate real world data back to Stuttgart I presume. This mule doesn't have it. I am guessing that this little box is a satellite receiver/transmitter? Makes sense to me. They can drive the mule everywhere and get data. That's what I was thinking also,....but it looked a little too finished/integrated to me and is definitely larger then the little nub we have on the 991 series. It will be interesting to see if it stays or goes. 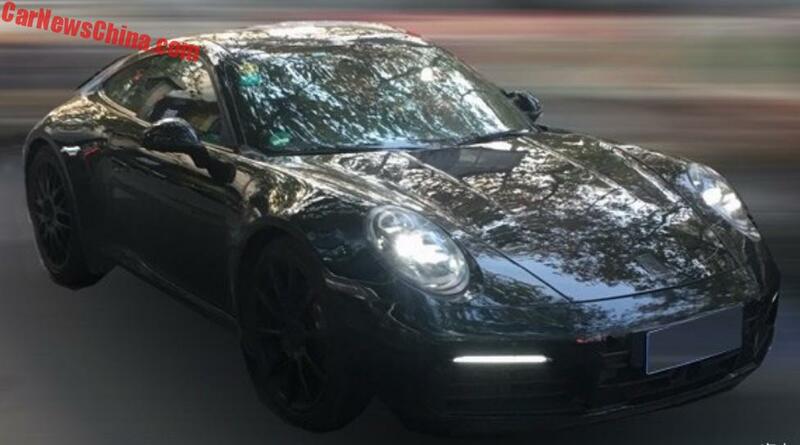 Now, if Porsche released a limited non-GT NA trim, I'll line up and let them rob me. I don't know how I will feel about it yet - I think I need to see it without camo. That being said, my biggest problem will be that the 991 shape is so freaking perfect to me. I liked the 997 (certainly better looking than either version of the 996) but the 991 shape...such a beautiful and classic shape. 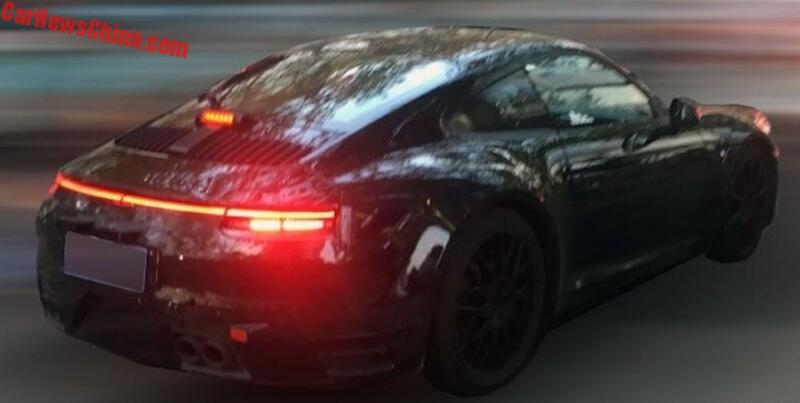 I was concerned that the 991.2 busied up such a clean perfect design with the .1 but over time the .2 has really grown on me (especially the tail lights). So maybe I will get used to the 992 shape as well. Don't know yet. That "camera" lens in the front looks huge ... radar? Yes. It is ACC. Same as 991.1 and .2, 981, 718. Adaptive cruise control, similar setup as to the 991. We simul-posted...you beat me by seconds hahaha!